JT Engineering, Inc. offers a broad range of transportation engineering services. 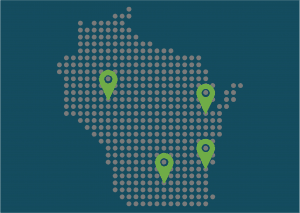 Our staff has successfully delivered projects on facilities ranging from rural two-lane highways to multi-lane interstate and urban facilities throughout Wisconsin. Along with roadway design, our staff is also experienced in all aspects of traffic analysis, traffic signal design and warrants, lighting and noise analysis. Our traffic engineers have completed numerous studies to recommend safety and functionality improvements at specific locations or throughout a corridor. Our approach to project delivery involves close communication and focuses on delivering concepts rooted in sound engineering judgment. Our process includes multiple internal reviews to provide our clients high quality deliverables, eliminating their need to allocate time to ensure the accuracy and completeness of the submittals.